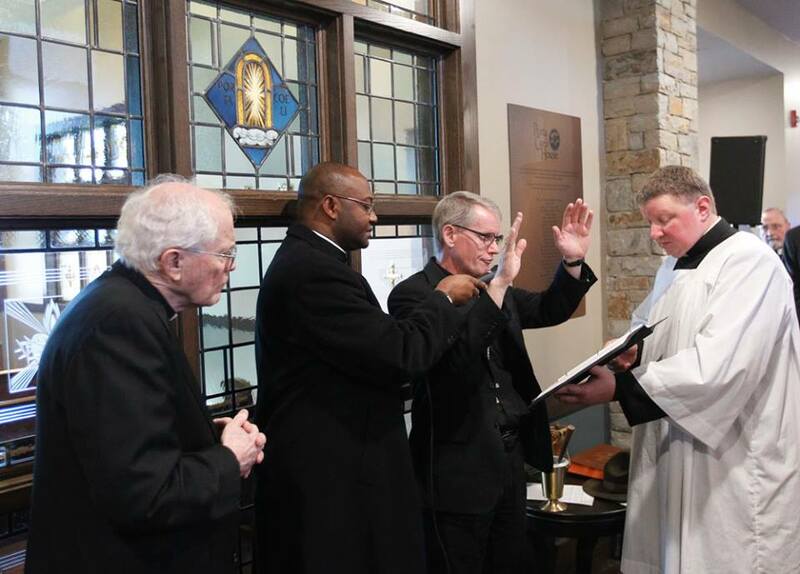 Tulsa Stained Glass was commissioned by Catholic Charities to create the breathtaking stained glass windows that now grace the Chapel of Porta Caeli House, the new Catholic Charities end- of- life care facility dedicated on December 8, 2016. Only the second facility of its type in Tulsa, Porta Caeli House is a community-supported home for those in need of end-of-life care, when dying at home not an option. Guests can spend their final days in a beautiful, comfortable setting while receiving loving and compassionate care. 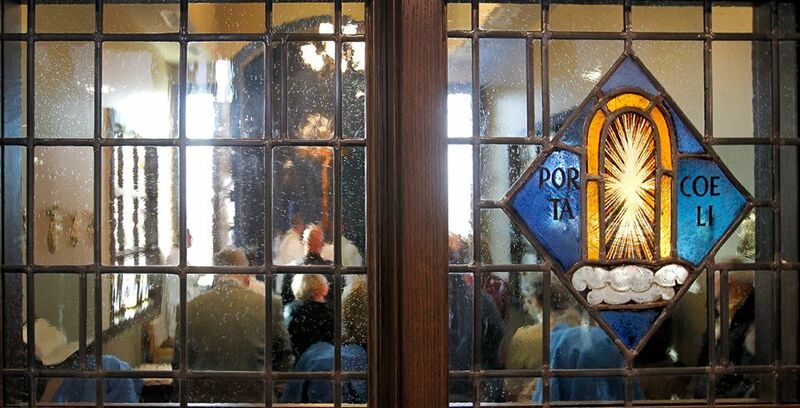 Porta Caeli is Italian for ” Door to Heaven,” and provides rooms, meals and personal care for each resident. Porta Caeli hopes to help fulfill a large unmet need in Tulsa for end-of-life care. 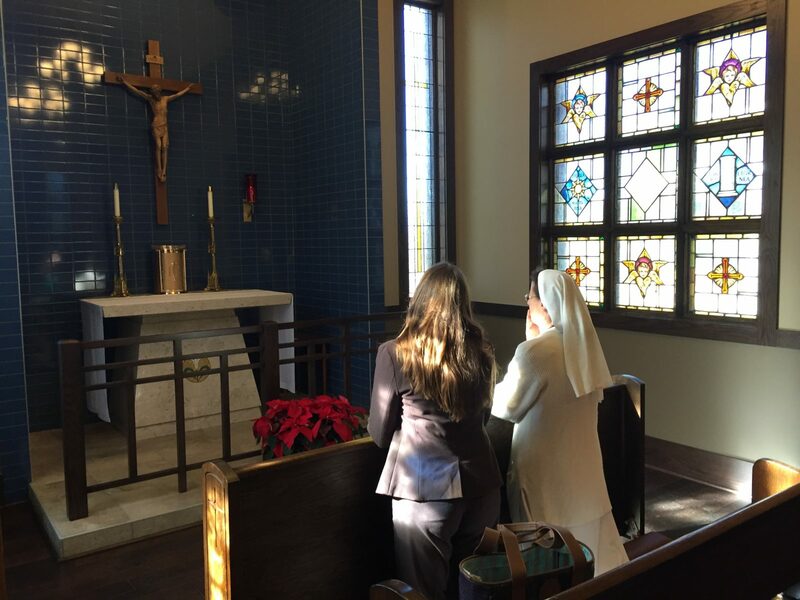 For Tulsa Stained Glass, the project presented a unique challenge: combining several types and sizes of stained glass panels from the Sisters of the Sorrowful Mother convent (51st and 129th East Avenue) to create one organized display for the Chapel. 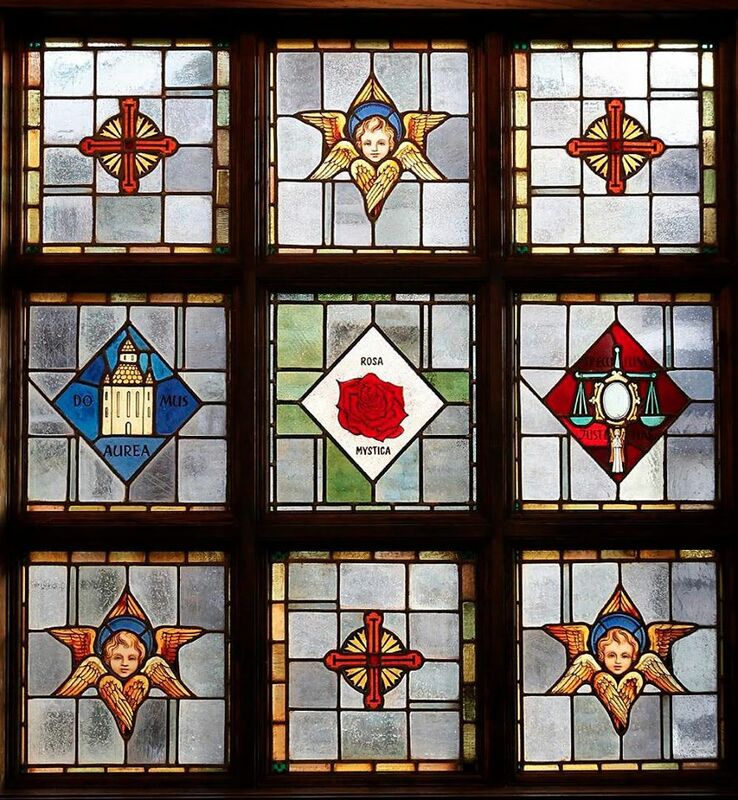 By trimming the art glass and widening the stops holding them, the pieces were crafted to fit the Chapel’s window opening. A special challenge was maintaining the historical integrity of the original panels. Because several of the panels could not be repaired or replaced, all work had to be done with meticulous care. 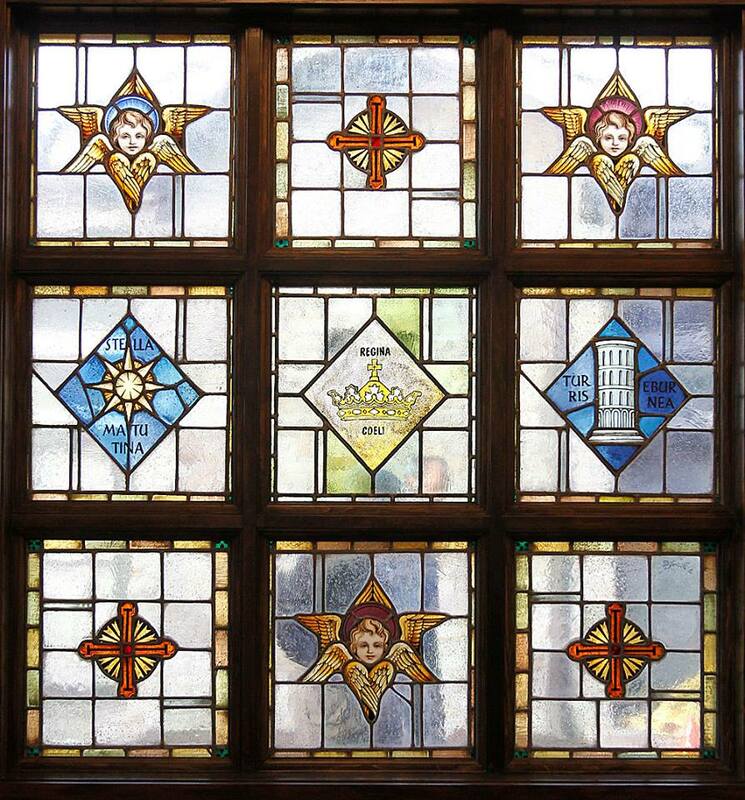 New glass panels were created to add important symbols related to Porta Caeli House; they had to closely match the style and palette of the original pieces. The special glass used was nearly transparent, but still translucent enough to obscure vision and ensure privacy. 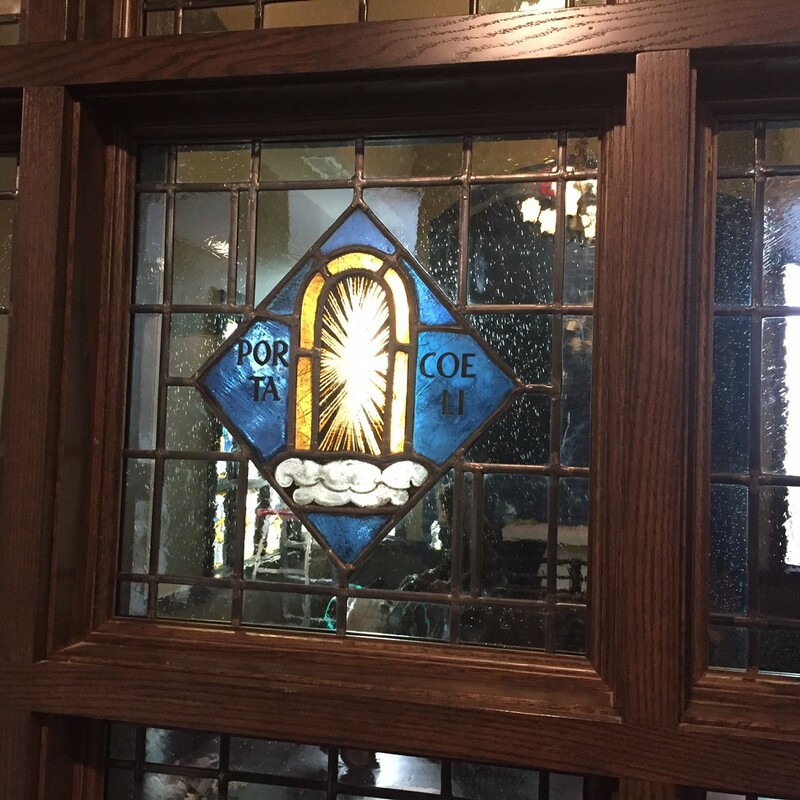 The Catholic Charities leadership team had a special vision for their facility, and Tulsa Stained Glass was privileged to make their vision a reality for Porta Caeli House.